I won’t beat around the bush. The iPad is the future of computing. And I don’t want it. Well, not yet. 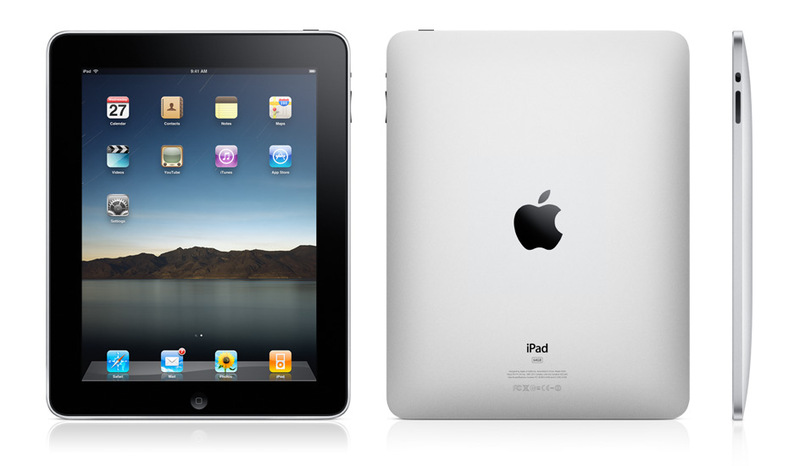 Many look at the iPad as a wi-fi enabled 10” 1024×768 flatscreen with no USB port, SD card slot, or camera. They look at the iPhone OS and wonder why you’d use something with far less functionality than the hundreds of other tablets that have been on the market since the early 2000’s. What they’re missing is the potential for the iPad to be the start of something new. Coming in the form of an evolved iPhone, something familiar to most of us, it doesn’t seem all that new or different. But imagine, for a second, using the iPhone as your main computer. The reason you never have to dig through folders to find what you were working on, deal with software conflicts, or spend time cleaning up the iPhone after removing a piece of software is because the iPhone approaches computing from a different angle than the computers we’re used to dealing with every day. By expanding the iPhone from a small pocket tool to a larger device, Apple is trying to apply the iPhone’s model of computing to the tasks we currently use laptops for. At the iPad’s unveiling I could sense the disappointment in the discussions within my company and across much of the internet. When the iPhone was first introduced, it blew away notions of how a phone worked and what kind of experience a low-powered mobile device was capable of. People were hoping for a similar sense of disbelief with the iPad. They wanted it to save the publishing industry, they wanted new input methods, they wanted “out of control” multi-touch interactions, and most importantly they wanted it to do things they hadn’t even dreamed of doing yet. In short, they wanted to feel like Apple had developed the future and was showing it to them. That’s what the iPhone introduction felt like. Instead, what people got was something they’d already seen. And so it was easy to pick out the flaws. No open app distribution model? No camera? No multitasking? But when you’re looking at the prototype of a new computing platform, those complaints are irrelevant. All of them will be added in time. What cannot be changed are the fundamentals of the software design. The iPhone got these fundamentals dead right from day one, and the iPad is now inheriting them. Fundamentals like a touch-based interaction model. Fundamentals like an easy to understand way to acquire and run applications. Fundamentals like the complete change of focus from navigating a confusing hierarchical file system to a simpler task-based interaction model. The very things that make the iPad so great are also its biggest weaknesses. By developing a new interaction paradigm — touch-based rather than mouse-based — Apple has rendered all existing desktop software incompatible with the platform. To truly take a step forward, this is necessary. Starting from zero is a daunting proposition. It is the reason Microsoft has never been able to garner mainstream acceptance from the tablets it promotes, despite grand proclamations about the coming tablet revolution back in 2001. In Microsoft’s universe, compatibility is king, hence the constant attempts to put Windows on a touchscreen. The taskbar, windows, dropdown menus, contextual menus, rollovers, and the rest of today’s pervasive interface elements make for an awkward tablet experience, but one with the advantage of an entire universe of software already built for it. Starting from zero, as Apple is doing, takes guts. The risks are exponentially higher, as are the rewards. Apple is bootstrapping the process by launching the iPad with enhanced versions of the same applications that have been successful on the iPhone. Watching movies, listening to music, browsing the web, checking email, and more are all designed to be seamless and elegant experiences. With these basics, the iPad is capable of meeting the casual needs of some people. In addition, it features compatibility with the existing library of iPhone apps, although this is of questionable value for many. Even with these boxes checked, it won’t come close to replacing a laptop for most people. And like a child needing a parent’s steadying hand on the saddle when learning to ride a bike, the iPad needs to be tethered to a real computer for tasks like backing up, downloading photos, and syncing music. Until my files live online, rather than on a hard drive tied to one computer, the iPad won’t seamlessly integrate into my digital life without a lot of awkward shuffling and copying to make things available to the iPad on an as-needed basis. I don’t need to pay for the added complexity of working this device into my life, and my iPhone already does a good job of surfing the web on the sofa. Given the option, the prospect of carrying an iPad around is already so much more enticing than using my laptop. I yearn for the portability, the battery life, and most of all, the efficient and focused interface that my iPhone has given me a taste of. I want the productivity and joy of using something that sheds the 20+ years of baggage my computer has inherited. The design decisions made in the 1970s that seem unprepared for the scale of my online life today, such that I am constantly having to organize and clean and manage my system. I want something that lets me get The Real Work done. Application development on the iPad has the ability to sustain bigger apps than what we’ve seen on the iPhone. The 99 cent app market on the iPhone has exploded because the device lends itself to quick, cheap entertainment. Lots of people will spend a buck for a couple of minutes’ excitement while waiting at the bus stop or standing in line. The iPad won’t be used in those situations, so the demand for those cheap thrill apps won’t be as strong. Instead, people will start demanding more functional apps. Apple sent a clear signal by showcasing a highly functional and polished office suite in the form of iWork for the iPad. By doing this, they were in effect asking others to follow their lead by developing desktop-class applications. This call is already being answered. The Omni Group, the leading Mac development house responsible for OmniGraffle and OmniPlan, among others, has announced an immediate pause on developing their next generation of desktop software while they port their complete portfolio of applications to the iPad. Apple also has the advantage of being in a better position than anyone else to cultivate a healthy 3rd party ecosystem of applications. It may be counterintuitive considering the discontent over their tight control of app distribution. But Apple has developed something even more valuable than open application distribution: a cohesive platform. This advantage may diminish in the future, but when launching a new platform it is incredibly important. Software developers will be hesitant to invest significant money developing applications if they are not sure what hardware, and by extension how many users will be able to run them. Android is starting to feel the effects of varying versions of the OS spread across a myriad of hardware configurations. Apple, meanwhile, has shown with the iPhone that it can drive a platform forward while minimizing the expense of dealing with device incompatibility. I won’t bother with a prediction about the iPad’s success or failure because they’re a dime a dozen in the wake of its launch. This post isn’t about whether Apple will tumble from its current summit or climb the next peak. This is about understanding why the iPad is more than just another tablet. For the iPad to succeed, it doesn’t need to be a home run now, it simply needs to stick around and gain a modest number of users who are willing to pay for apps. If that happens, in 5 years time we’ll start to see a healthy ecosystem of applications that begin to turn the iPad into a viable general computer replacement. And in 10 years time we’ll see a new generation of users that have adopted iPads, or whatever Android- or WebOS-based tablets are around at that point, as their main computer. We’ll see existing expert users spending a large portion of their time doing work on tablets. Of course, even then most of the computing landscape will still revolve around the traditional computers that are deeply entrenched today. But it will also be clear that they are part of a waning era. In 20 years’ time they will have relinquished the spotlight to take the place of the mainframes of yore: running back end services and thousands of custom business applications for years to come, while people use touchscreen devices for their everyday online lives. And at that point, we’ll look back and realize that this drastic shift from Old World to New World computing, as Steven Frank terms it, began with something that at the time seemed like a boringly predictable, some would even say say lacking, evolution of an iPhone.